It’s morning. You just landed in LAX. Your stomach is growling and you want something to eat other than stale airport pastries. 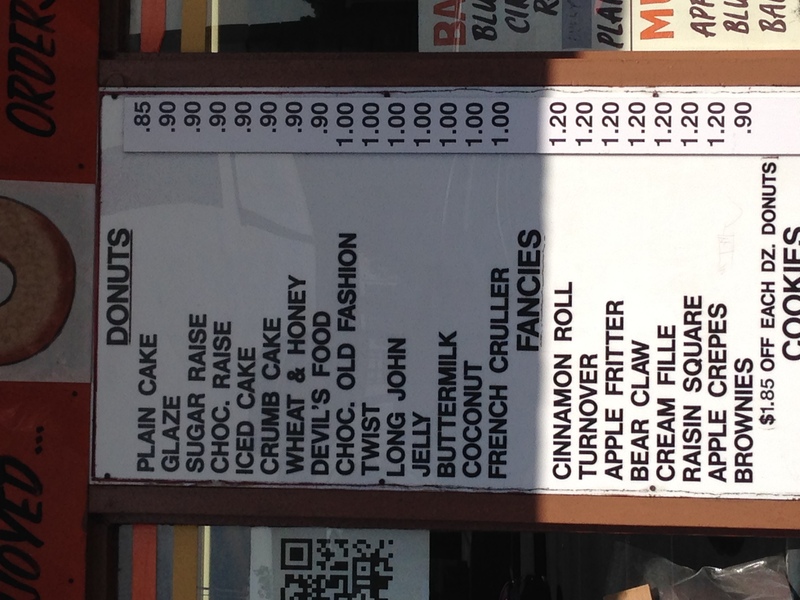 Since LA is relatively void of all chain donut establishments, you have many independent options. 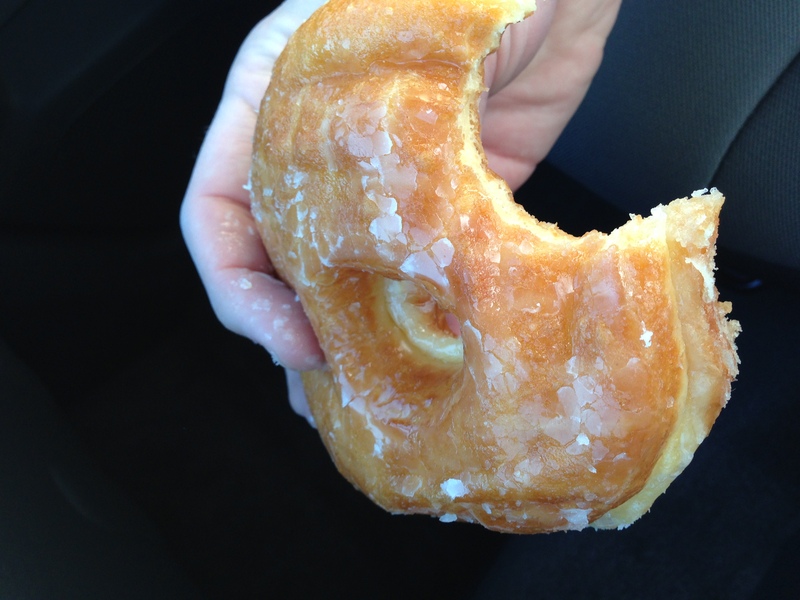 Your best bet is to make the 2-3 mile sprint over to Randy’s Donuts. 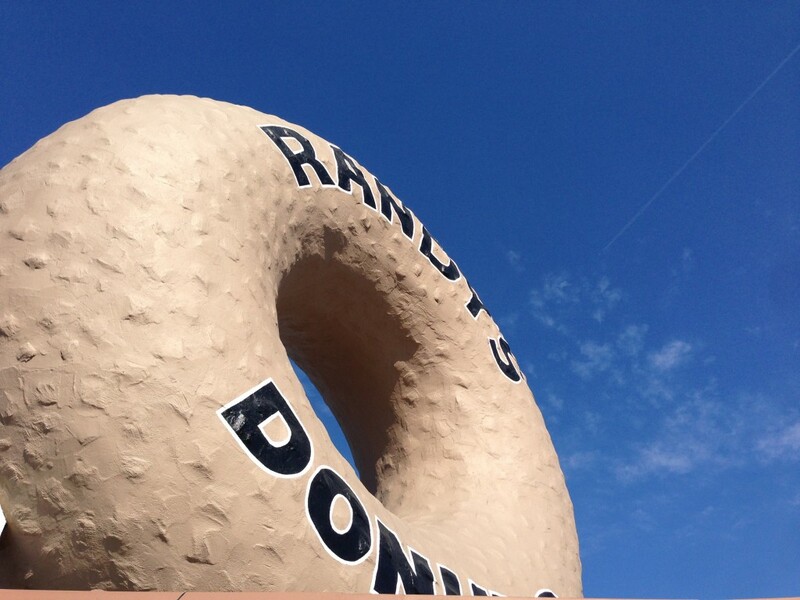 It’s hard to miss this landmark building with a giant donut on its roof, especially since it has long been featured Movies, TV Shows, Video Games, and Music Videos. 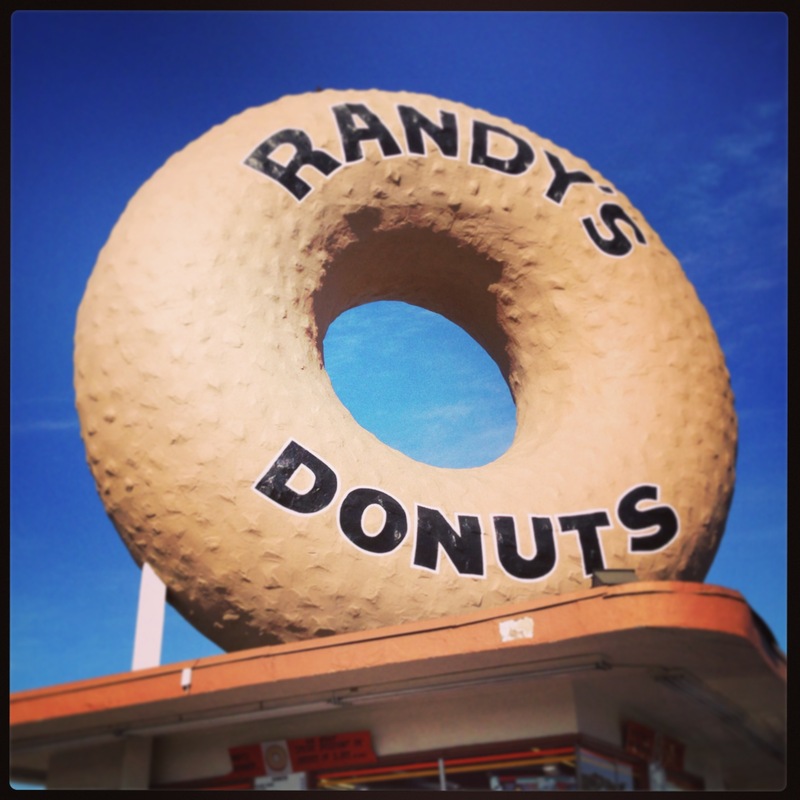 Randy’s is an iconic LA establishment and has some of the cheapest donuts around. I guess if their iconic signage hasn’t changed much since the 50’s, the prices shouldn’t either! Their glazed donut was quite tasty. Fluffy and chewy with a tasty glaze. I wasn’t as wild about some of the other flavors, especially the cake donuts. 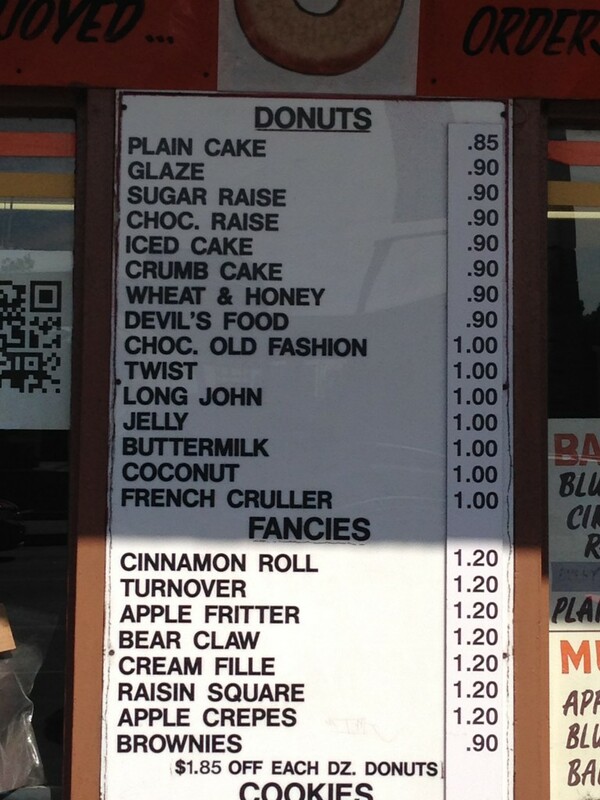 I’d go for a glazed, a sugared raised, and then be on your way (for less than $2, nonetheless).